Remember when I said “see you in six weeks?” and my beautiful girl is three months old? The truth is, I’ve been scared of jumping back into this blogging thing. I don’t feel like it’s my forte. Part of it is my lack of confidence. Every time I start blog-surfing again, I feel this overwhelming sense of intimidation. Thoughts start to surface about my inadequacy. Thoughts like “Her FOURTH book is coming out?” or “She has over 2000 followers?” or “She just had a baby and is STILL blogging?” And I know I’m not supposed to compare. But it’s hard. But I keep having what I call “blog-thoughts.” Things that I ponder upon and think, “I should post that and see if anyone agrees with me.” So this is my test. 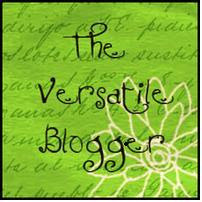 My wary foray back into the blogging world. We’re all busy. We all have obligations and passions and hobbies. And that’s what makes this blogging thing so neat. We can share all those things with a massive amount of like-minded people who we’d never get to meet otherwise. Which is why I can’t give it up. I hope some people are still here. I hope I didn’t scare you away with the massive remodel posts and subsequent silence. And as always, Happy Wednesday!